I have the patience of a gnat, and am also a white wine fan. Like when I want some unoaked chardonnay, I want it now. Frustratingly, the chardonnay is often still on the wine rack at room temperature. And what about when people come over and bring unchilled wine? What the hell are you supposed to drink in the meantime? Red? Madness. Also, due to my frequent attention lapses, I am also that person who puts champagne in the freezer and then forgets about it, with often disastrous results. 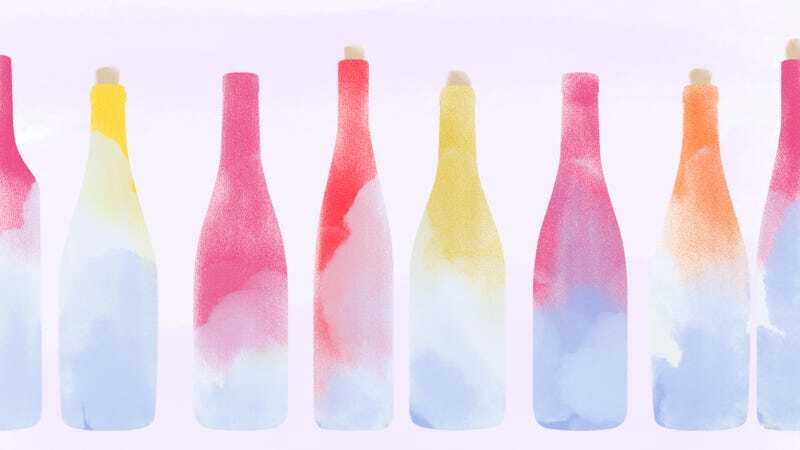 Sensing that there must be another way, and with warm-weather gatherings just around the corner, I surveyed a small group of wine experts to get some cooling advice. Many of the other sommeliers I talked to though, favored a method that involved a fairly advanced version of spin the bottle. David Cook, sommelier/beverage director for Third Coast restaurant in Houston, claims to have the fastest wine-cooling method I’d heard, requiring just five minutes. He fills a wine bucket halfway with water, then adds ice to the top. Spin the bottle around in the mixture and it’ll cool in just five minutes. But Teddy Panos, beverage director of Stake Chophouse and Bar in Coronado, California, uses a similar technique that brings it up one level. Panos informed me that the faster ice melts, the colder it becomes. He suggests a stainless-steel wine bucket filled halfway with ice. Then add some coarse salt, top it with more ice, and fill halfway with water. Finally, spin the bottle a few times. “The water and salt will aid in melting the ice quickly and anything immersed will chill,” he says. And really, anything can be an ice bucket, if you think outside the box like Jennifer Kozy, regional catering sales manager at ‎Le Pain Quotidien in Chicago. If you can’t find a bucket, “Throw the bottle in a sink filled with 60 percent water and 40 percent ice. It will chill in about 10 to 15 minutes. Or I would just drink it outside and use the snow as a coaster.” She’s a Chicagoan, all right. So I know what I’m asking for my birthday this year: a giant ice bucket. A happy and speedy cooling of wines to you and yours and please: Don’t forget the champagne in the freezer.